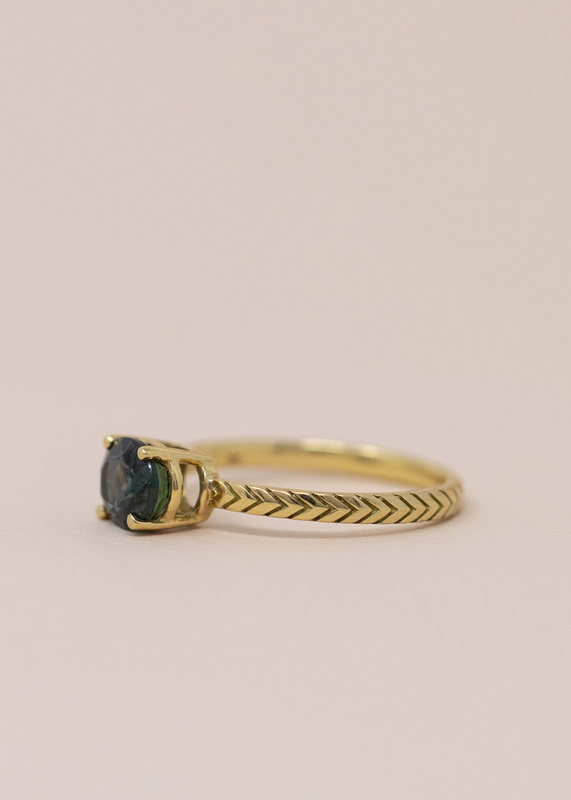 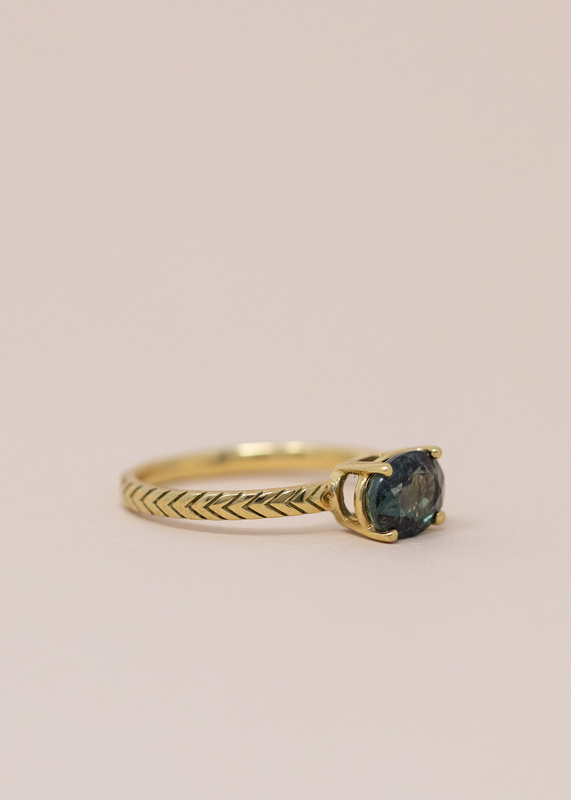 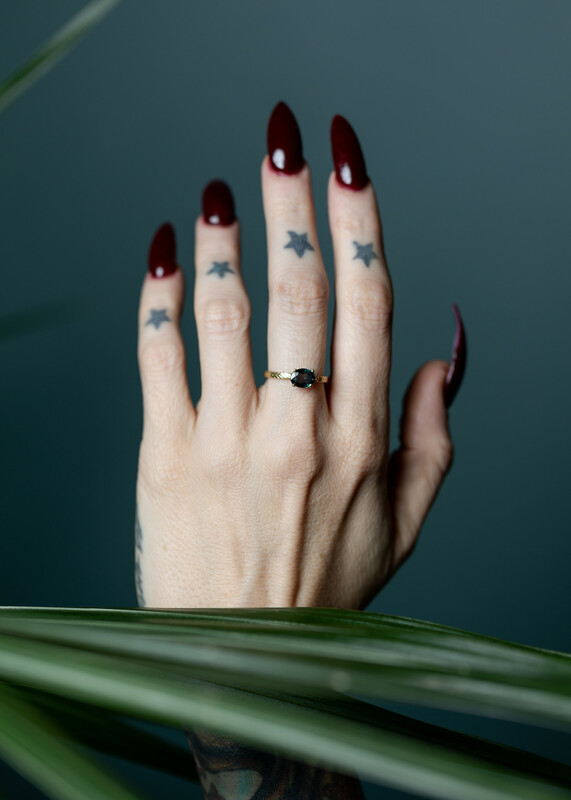 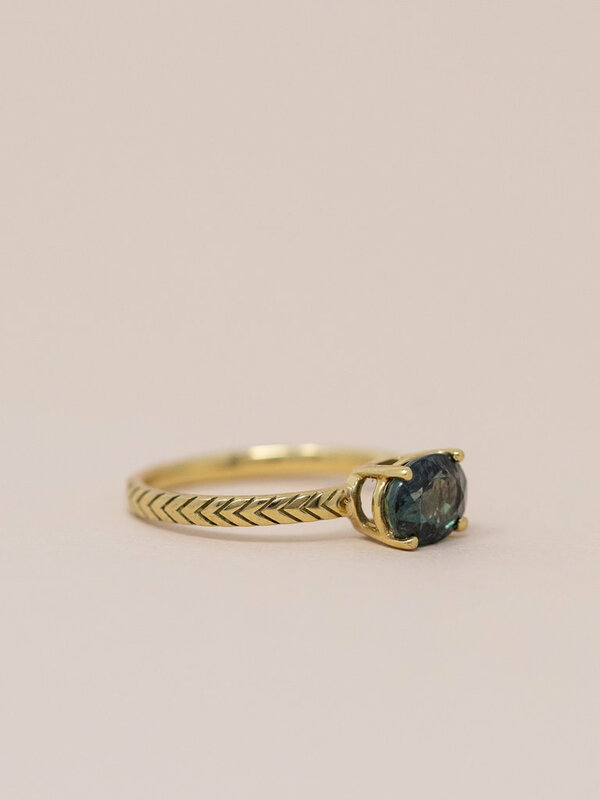 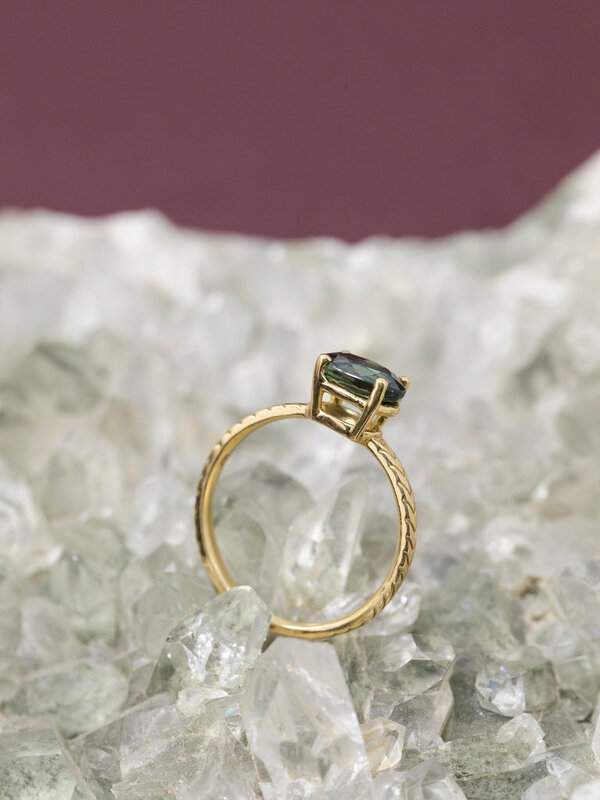 A one of a kind ring, a 14 karat yellow gold arrow band with a blue green sapphire solitaire stone in a high setting. Size 6.75. 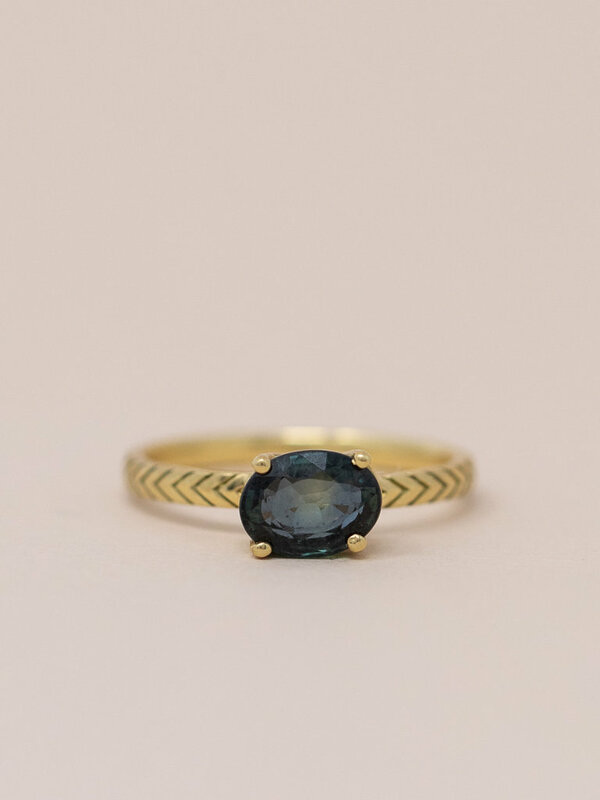 Oval sapphire is 1.75 total carat weight. 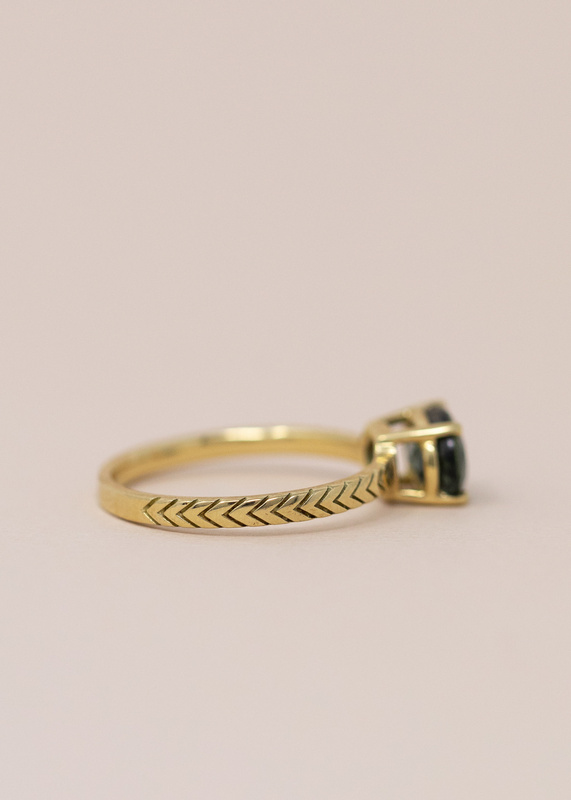 14 karat gold all around. 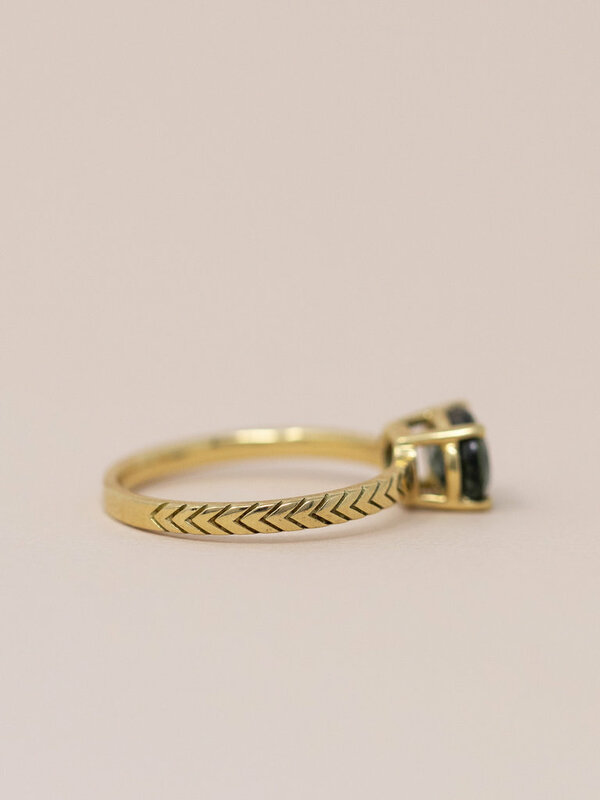 Handmade in Brooklyn.